There is a clearly visible trend in the urban parts of the country, with support and sympathy for Russia growing among the youth. 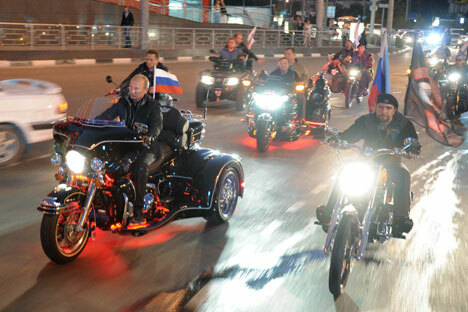 Vladimir Putin is increasingly being seen as a role model. As someone who has always believed that being pro-Russia does not necessarily equal being anti-West or anti-America, it’s disturbing to read reports about the US administration trying to arm-twist India into taking a hard line in its approach towards the Kremlin. For a country that justifiably prides itself on democratic traditions that go back more than 200 years, an attitude of coercion in foreign policy is very unbecoming. There was absolutely no way the out-going Indian government could have taken the West’s side in the conflict over Crimea and justified it to the people, especially when one considers the fact that anti-American sentiments are at a peak. In what the US chooses to see as a zero-sum game, the Obama Administration has managed to lose its goodwill in India and squandered away the gains that were made since President Clinton visited the country. The Indo-US techie love affair has been over for a long time. There is no longer a craze to get a green card and immigrate to the United States. There are enough young well-travelled Indians who have had a chance to visit the “Promised Land” and understand that the country is not what it is made out to be in Hindi films and definitely not the paradise that Indian-Americans tout it to be. The new upwardly mobile young Indian does want to travel and see as many countries as possible but gone is the desire to escape to greener pastures. Add to this the fact that the US has not only been arming Pakistan to the tooth, but often taking a more sympathetic view to the interests of India’s hostile neighbour on bilateral conflicts, a better educated young Indian is finally understanding that America is no friend, at least not diplomatically. The icing on the cake for American diplomacy was the way an Indian consular officer was arrested, strip-searched and humiliated in New York. The post-1991 reforms generation of this country demands respect and this is where Russia appeals to the young Indian. Despite overtures from the Manmohan Singh government that India was moving into the American orbit, the Russian establishment and diplomatic community behaved with utmost professionalism and restraint, knowing well that a hint of a protest would have been received badly in India or manipulated by an increasingly corrupt media. As a result, trade has been growing over the last decade between the countries and projects like the Kudankulam Nuclear Power Project have been moving ahead despite well-funded efforts from the West to derail it. Russian understanding of Indian concerns on international issues, refusal to arm Pakistan and initiatives to raise the level of bilateral cooperation have gone down very well with Young India. Russia is also seen as a strong independent country that will stand up to the West and look after its genuine interests at all costs. There is a reason that Narendra Modi is gaining such acceptance among the young urban Indian. In many ways he is being seen as a man that has some of the same qualities that Russian President Vladimir Putin possesses. Young and impatient India wants a strong leader who will defend national interests and raise the bar in governance the way people believe Putin has in Russia. Whether Modi will be such a leader or even become the prime minister is anyone’s guess. Putin’s tranquilising a tiger, judo stunts and numerous other public displays of strength have won him a fan base in India. The next time he visits the country for a bilateral summit, the Russian president should spend a few days in the country and meet some of its youth. He’d be surprised at the near cult status he enjoys. Other Russian leaders like Dmitry Rogozin, who handles the defence aspect of the bilateral relationship, are also seen as strong and powerful. Then there’s Maria Sharapova and other Russian athletes and international models. Russian soft power has truly managed to spread out in India. This doesn’t mean that young Indians are queuing up to immigrate to Russia but a more confident generation sees a greater engagement with Moscow as something holding serious potential. Those who really want to feel the pulse of Russian soft power need to read the comments sections on Indian websites covering the Ukrainian crisis. The pro-Russia comments dwarf those that support the Americans and NATO. In many cases, the youth of India hear from their parents the stories of how the USSR always stood by India in the 1970s and 80s. Russia has always had enormous goodwill in India. The days when it looked like India would become a lieutenant of the West are history and the youth of the country truly see Russia as a friend and ally. No amount of “planted news” or western propaganda is likely to swing India back to a position, where it would end up on the wrong side of history.